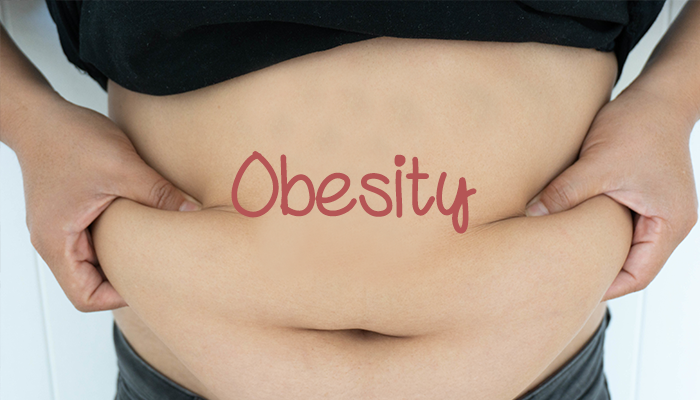 You are here: Home / Uncategorized / Can Obesity cause varicose veins? Nowadays work pattern and job profiles have changed to long hours of sitting or standing. Work shifts are draining and tiring. Thus, people are finding lesser time to devote to exercise due to high demanding jobs and hectic work schedules. We also have the luxury of traveling in vehicles and prefer it to take a walk. This has resulted in an overall reduction of human physical activity and can have ill effects on your body and blood circulation. Obesity is a condition which is ferociously gripping the world mainly because of lesser physical activity. It means that a person’s weight is much more than the normal rage for his height, age, and gender. Obesity cases have up surged at an alarming rate in India as well. Obesity is nothing but having an excess of weight than which is ideal for your height and age. Foods like burgers, pizzas, pastries, and junkies have become the new trend and a treat for your taste buds. Unfortunately, such foods lack fiber and have abundant fat. These foods coupled with a lack of physical movement causes weight gain. Arteries and veins circulate blood our body. ‘Varicose veins’ is a condition which affects the veins of the leg and makes them enlarged. This causes overfilling of blood in these veins. These veins appear reddish or dark purple in color and they become easily visible through the skin. They become sore, painful and swell causing them to easily felt over the skin of legs. They can also cause heaviness and discomfort. Excess weight can develop pressure on the veins of your legs causing difficulty in the upward flow of blood. This causes varicose veins. Soreness, pain, and swelling are common symptoms of varicose veins. They can also cause heaviness and discomfort. These veins are often seen and easily felt over the skin of legs. Cramping and itchiness may also be experienced. Walking! Even though it is a simple activity, it can be very helpful in avoiding varicose veins. Walking creates relaxation and contraction of calf muscles. This makes the blood flow upwards in the legs. Make a routine to walk for at least 30 minutes a day. A jog in the morning or evening can be a great exercise. Running can be too rigorous for your veins. But jogging for 15 to 2o minutes will create active circulation in your legs. It will help create an upward pumping of blood in the veins of the legs. There are various poses in yoga that allow your feet to be raised higher than your chest. Practicing such poses will drive blood flow from legs to the heart. You can go for a 90 degree or a 45-degree leg raise while lying on your back. The legs up the wall can also be a very helpful pose. You can choose yoga poses according to your level of fitness. Mountain climber is yet another simple exercise. You can do it on a lawn or grab a yoga mat. First, take the plank position. Pull your legs up to your chest alternately. You can start with 5 mountain climber with each leg and then extend it up to 20 a day. Calf raises are a great way to exercise your calf muscles if you are you are sitting for long hours in an office, a plane or a train. To begin with, keep your feet flat on the ground. Raise your toes so that your calf muscles stretch. Lower your toes gently and then raise your heels. This will relax the calf muscles. Repeat this exercise for 5-10 minutes. You can do them as many times during the day as possible. You can also go for raising your legs a foot from the ground and stretching them. Pull your toes forward and stretch them towards the ceiling. These exercises will strengthen your calf muscles and boost the circulation in your legs. If varicose veins are troubling you and hampering your daily routine it is time to visit a vascular surgeon in Hyderabad. A surgeon can guide you through your treatment options and suggest some exercises. You can visit Dr. Abhilash Shandalya’s clinic, an expert in vascular surgery. He has successfully treated varicose veins for numerous patients. You can visit Flow Vascular clinic at H.No: 2-22-298/2/A, Sree Krishna Diagnostic Center Building, 2nd Floor, Beside Kalamandir, KPHB Main Road, Kukatpally, Hyderabad. You can also book an appointment on https://www.drabhilash.com/book-an-appointment/ or call on (+91) 99896 49498,99590 33037.